As I mentioned in my last post, since we were visiting a friend, we stayed at her suburban flat in Fruktavaya Street which is not the usual tourist stop and hence made the use of metro to reach to most of the tourist destinations. Using the metro could be a little tricky as there is hardly any signage in English, so would suggest to download a Metro map which has stations name both in English and Russian and keep it as a print or as an image on your smart phone. Use google maps before hand and get accustomed to the routes and the metro station’s names. 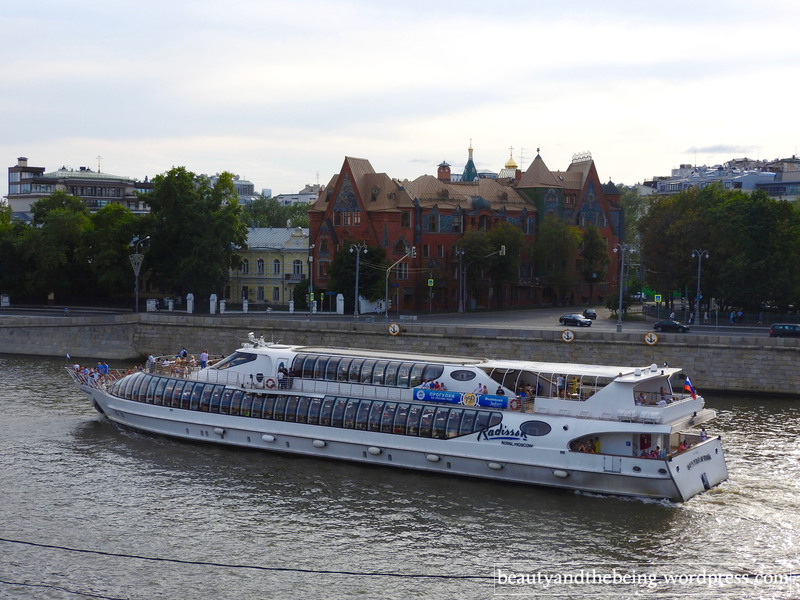 The nearest stations to us were Nakhimovsky Prospect and Varhsavskaya which were both well connected to all the touristy spots. 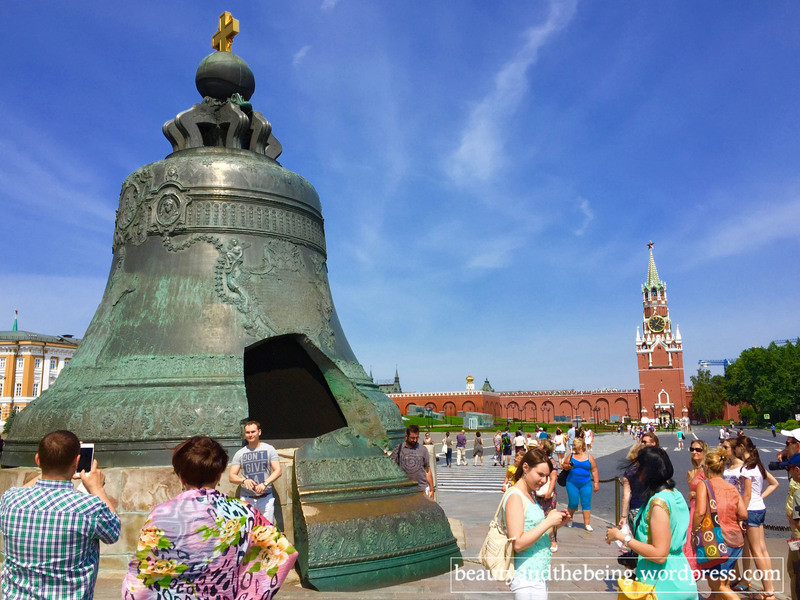 Highlights – Red Square, St. Basil’s Cathedral, Gum Mall, Kremlin & Cathedral of Christ the Saviour. 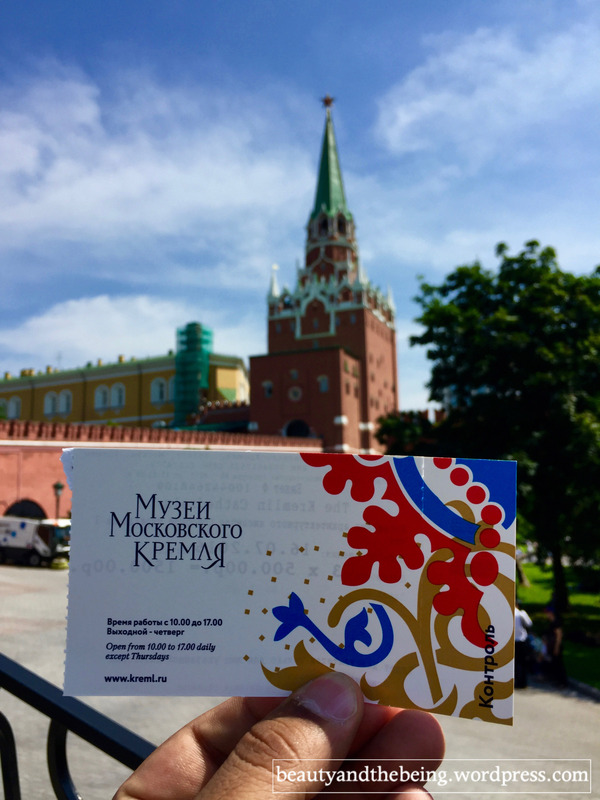 Kremlin is open on all days from 10 AM till 5 PM (except for on Thursdays). You can buy the tickets online here or through the ticket offices inside the complex. If you wish to visit the Armoury then we would suggest buy the tickets online as it is time specific. 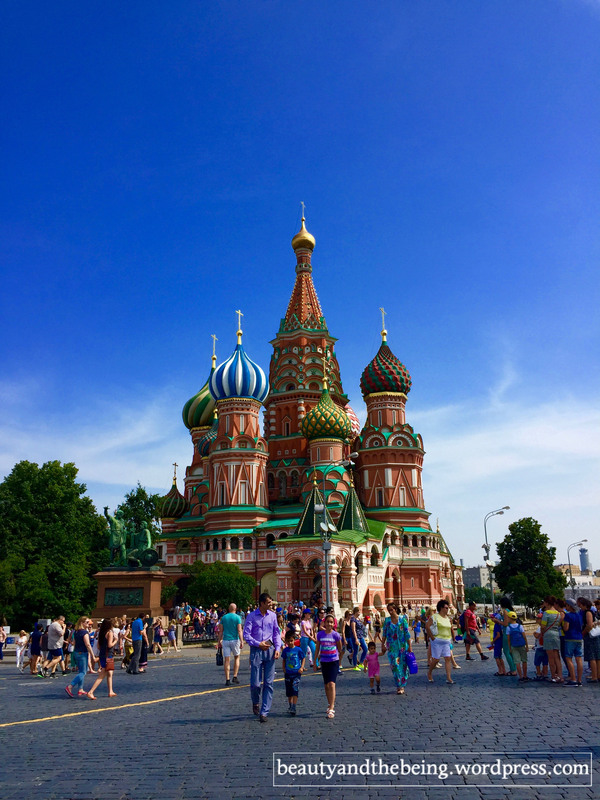 Once you are inside the Kremlin you can make use of any of the guided tour apps available and visit around to see Assumption and Archangel Cathderals, Ivan The Great Steeple and the Bell Tower, Tsar Bell and Tsar Cannon, The Grand Kremlin Palace, Alexander Gardens, Tomb of the Unknown Soldier and the Armoury. 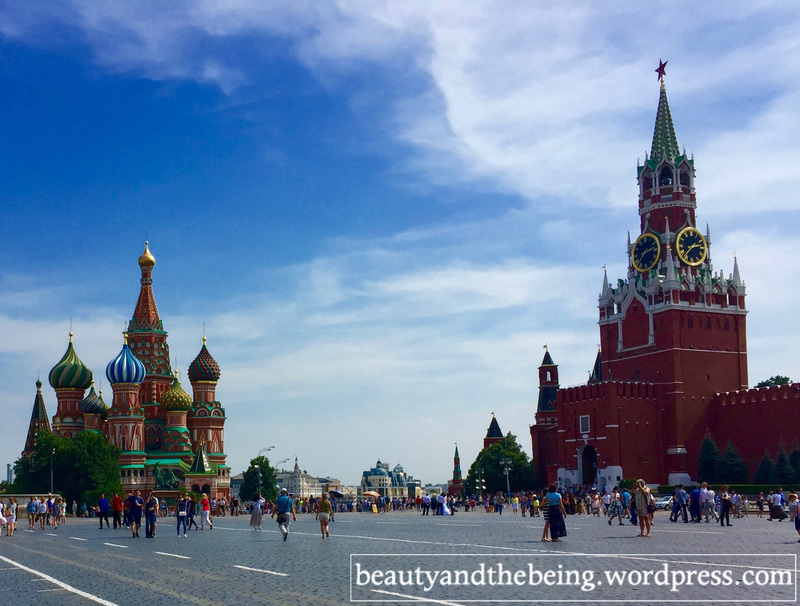 We spent a good 3 hours inside the Kremlin and took an exit from Red Square side to be greeted with a breathtaking view of the St. Basil’s Cathedral. 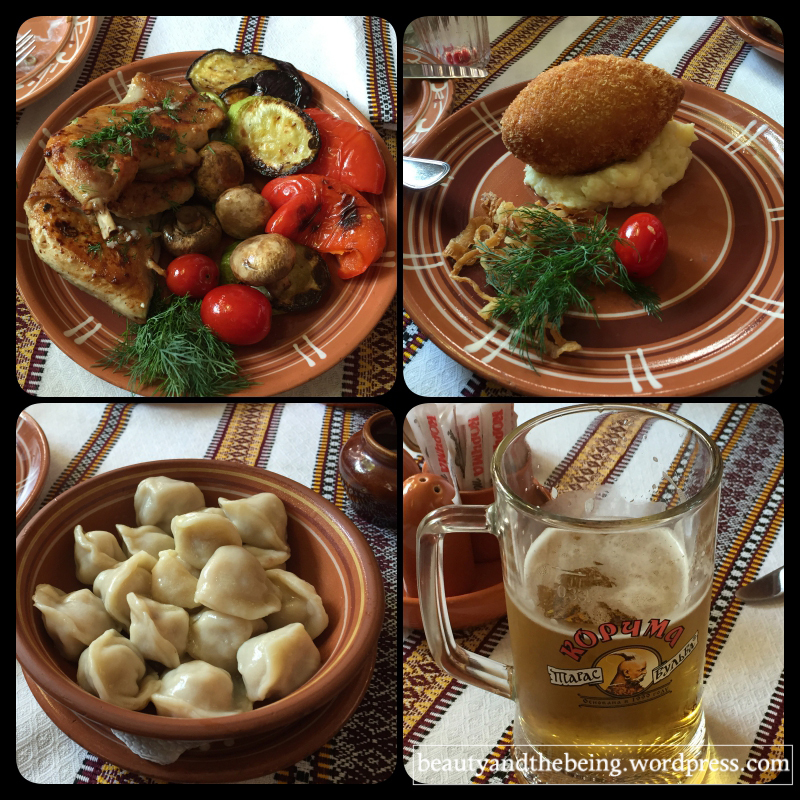 A couple of hours later we headed straight to a Ukranian Tavern restaurant which was highly recommended by a friend- Korchma Taras Bulba, which proudly stood high to its name/standards and also our expectations. 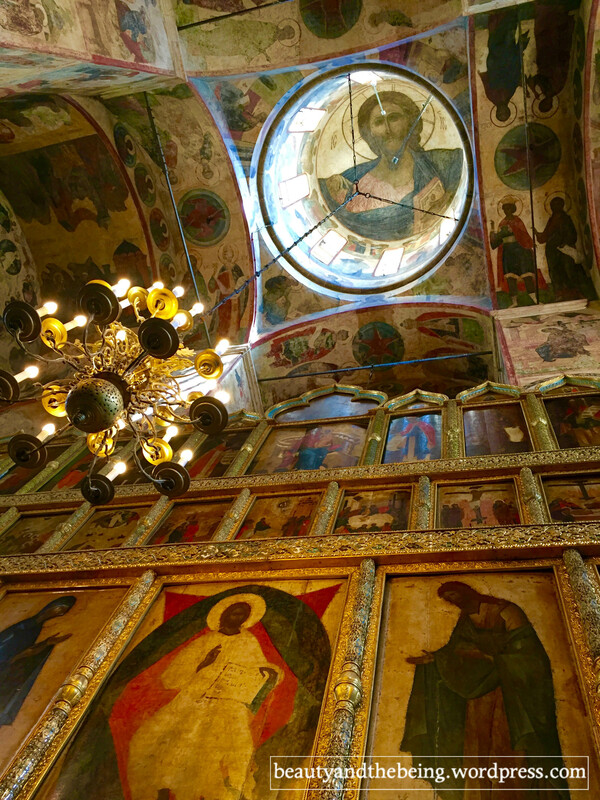 From there we took a short metro ride to reach Christ the Saviour Cathedral which by far is the most beautiful church I have ever seen. The entry is free but conservative dress is a must. The Church is huge and if you feel the exterior of it is jaw dropping then just wait to enter inside and see the fresco covered interiors! Sadly taking pictures inside is not allowed, but we were lucky enough to witness a prayer session which was absolutely divine. Lunch – took our own picnic basket and enjoyed a picnic at the huge grounds. 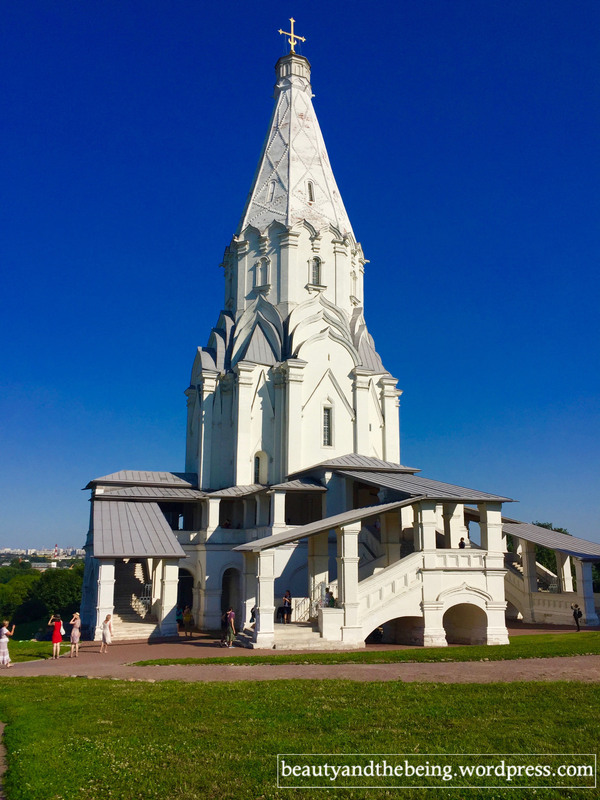 We had kept a trip to Kolmenskaye towards the end of our trip, but our local host insisted that we visit it before going to St. Petersburg as that would help us in understanding the marked difference in the architectural style that took place over the years. 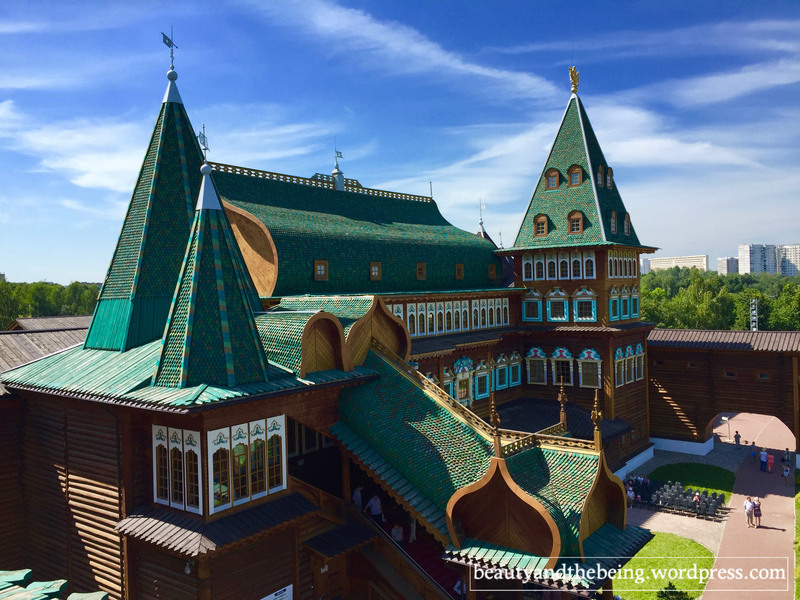 Kolmenskaye is a huge estate which houses a replica of the erstwhile wooden palace of Tsar Alexis and two very old churches – one of which was built to commemorate the birth of the crowned prince, the future Ivan the Terrible. 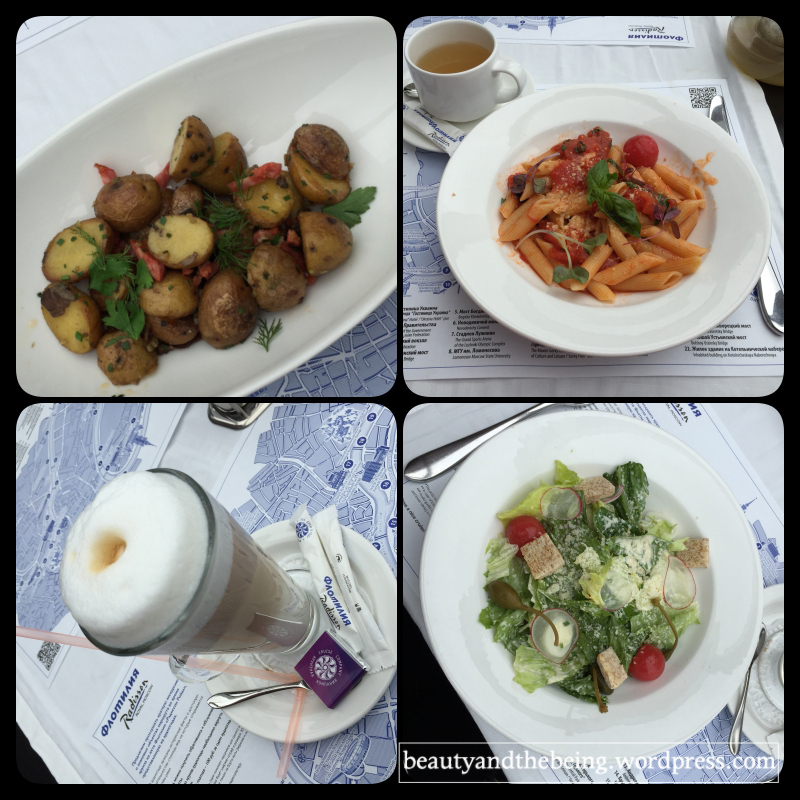 Day 3 – Moscow State University, Sparrow hill, Stary Arbat & Bolshoi Theatre – many of the cafe’s at Stary Arbat. 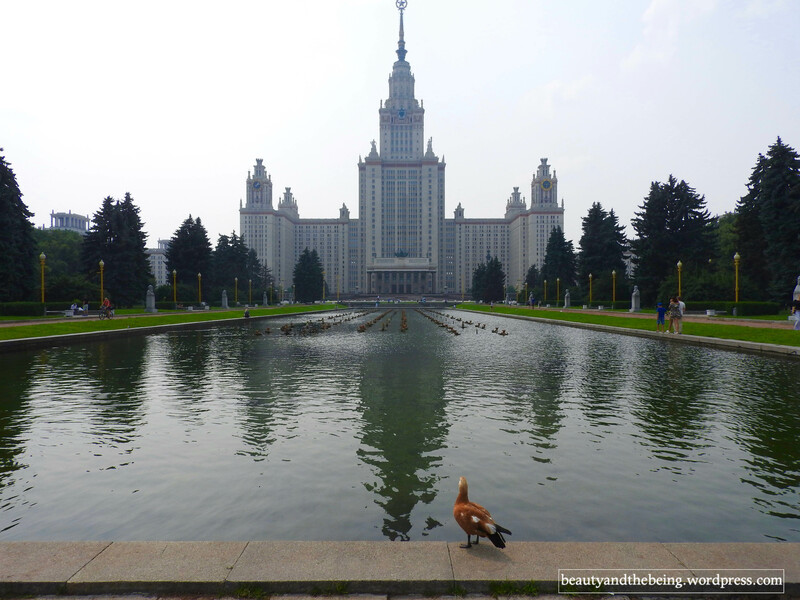 We chose the weekend for our trip to the magnificent Moscow University (which btw looks just out of the world!) and it was followed by a visit to the Sparrow Hill to get some spectacular views of the city. 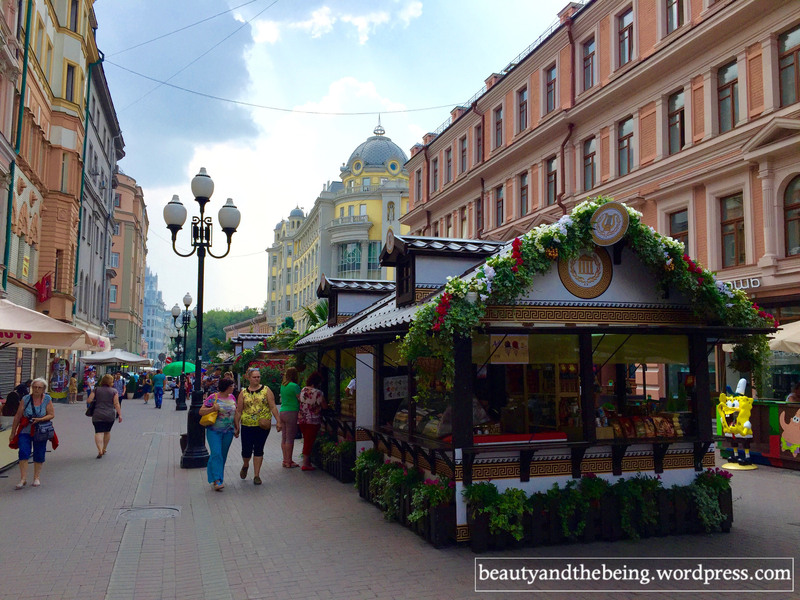 We also took a stroll through the Stary Arbat, a toursity street with many cafes, buskers and souvenir shops. 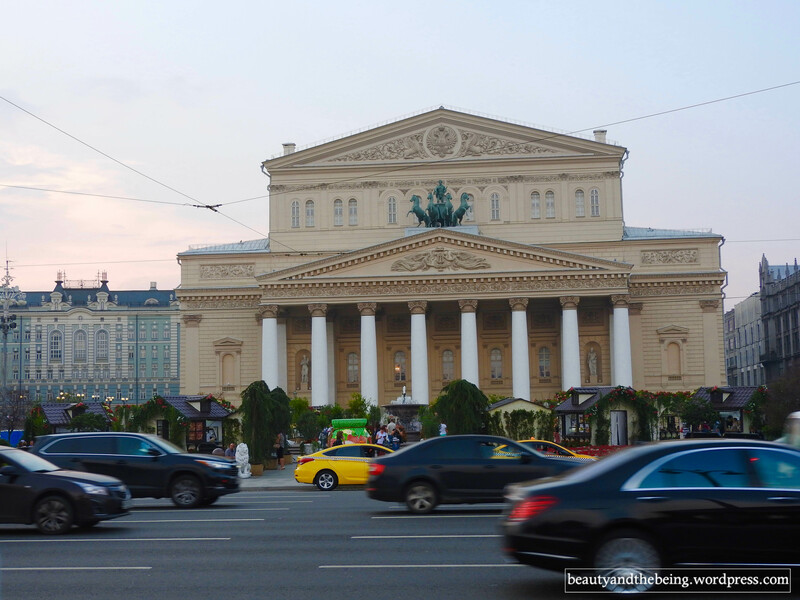 Bolshoi Theatre was also nearby and we wanted to watch the Opera but sadly tickets weren’t available, so I would recommend you book early or rather buy them online here if you don’t want to be disappointed like us. 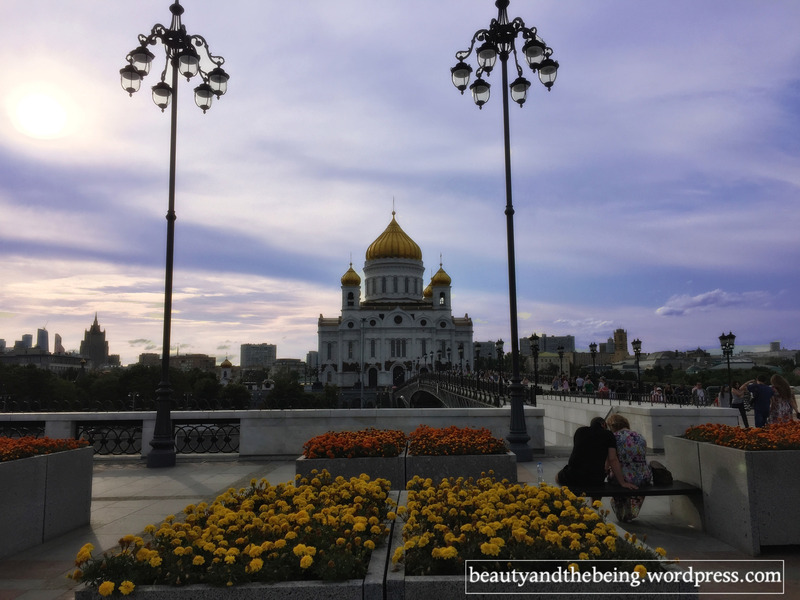 This was our completely ‘relaxing day’ with no running around, where we got to enjoy the greenery and relax like locals at the massive Gorky Park. 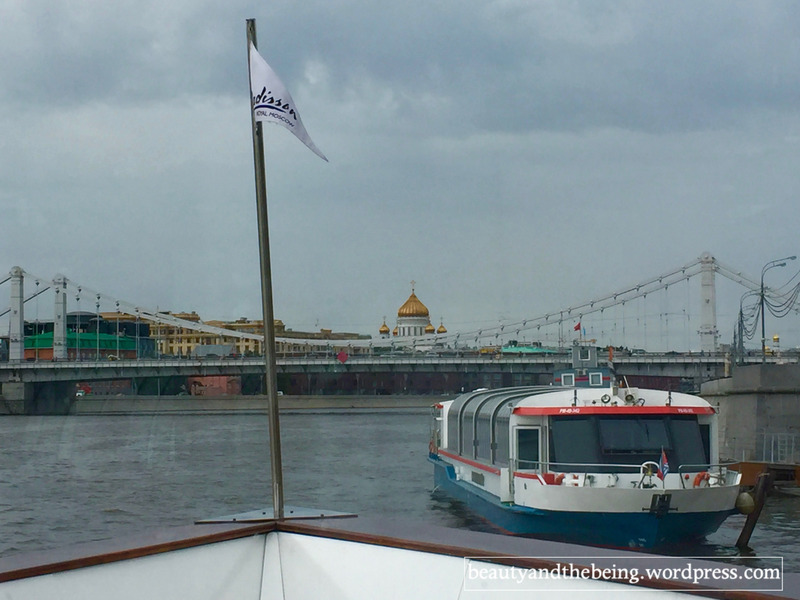 The highlight of the day for us was an awesome Lunch date in the floating restaurant @ Flotilla Radisson Royal. Lunch- once again carried a picnic basket and enjoyed at the marvellous gardens. Another one of those beeeautiful days where the Sun was out and shining bright, but the clouds kept playing hide & seek! 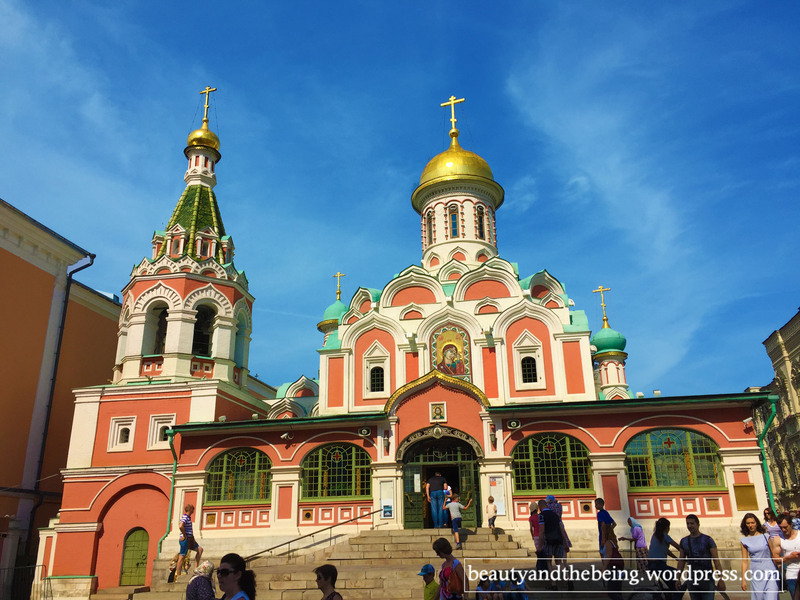 It’s said that the original construction wasn’t liked by Catherine the Great and was demolished and the new construction was interrupted by Catherine’s death. 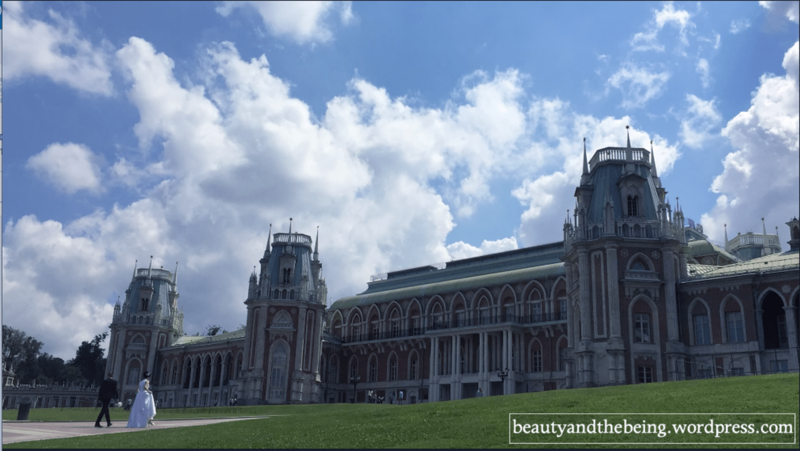 Sadly, her successor didn’t show any interest in completing the construction until very recently, but still for us this was a gorgeous palace, opulent and breathtaking! What an amazing city. Thank you very much for your report and these beautiful pictures. 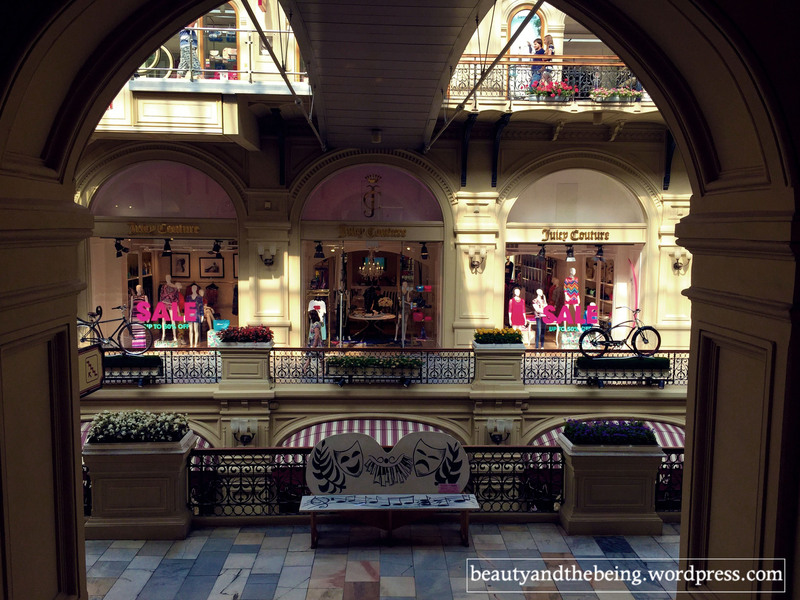 I would love to visit Moscow myself. Ah, and for those dumplings….Karan can actually LIVE on just dumplings….it would be his ‘perfect’ life I think…. haha!